Facebook has started shutting down apps with tens of thousands of active users left and right, AllFacebook writes. The reason is Facebook didn't really police these "small" apps before and now has rolled out an algorithm that automatically shuts them down if they post too often to users' walls, etc. The problem is that Facebook didn't tell app makers it was going to do this, so these just woke up Friday and saw their app had been shut down, and very understandably freaked out. This isn't too big a deal -- most app makers will simply tweak their app to get them back in compliance and move on -- but it shows how miscommunication can turn a routine adjustement into a big freakout. Follow Pascal-Emmanuel Gobry on Twitter. Pascal-Emmanuel Gobry is a Paris-based entrepreneur and writer for Business Insider. Receive email updates on new comments! This is what I hate the most. Those big companies suddenly change policy but never informed us. i would regulate facebook before i regulated google. facebook is much more the real monopoly. there are no other competitors at all. ONLY FACEBOOK. even google has competition. 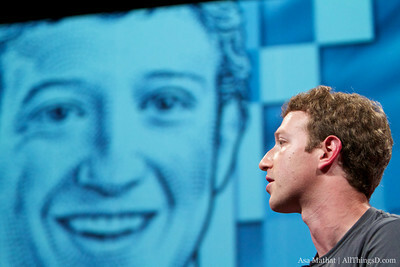 facebook is abusing that monopoly power all over the place. Disqus will soon shut down due to facebook. That's what you get with a mega company run by a barely past adolescence megalomaniac. "I don't like, I squish you!" A mature organization would take an update like that and TEST for results in advance, and then based on the impact, know how much they needed to do to head off problems and act accordingly. I keep getting notices that I should give Facebook my phone number "for security". Security my A$$. This post is not correct - People who want to play by Facebooks rules and comply would have gotten notice to comply along with emails. I got several notices and I even got a an email regarding changes that apps were going to be required to make some changes and I am not an app developer so I didn't pay attention. , I just subscribed to the Developers platform notification service to keep a heads up with what is coming down the pipe and Facebook let those who asked to stay abreast of it all know it was coming. Chinese Homes Prices Soar, Even As Government Paper Announces "Cities Rein In Home Prices"
| Oblong Has Built The Future Of Computing. I’ve Seen It. Used It. It’s Beautiful.